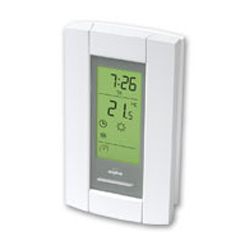 This programmable thermostat is used to control 240V heating. 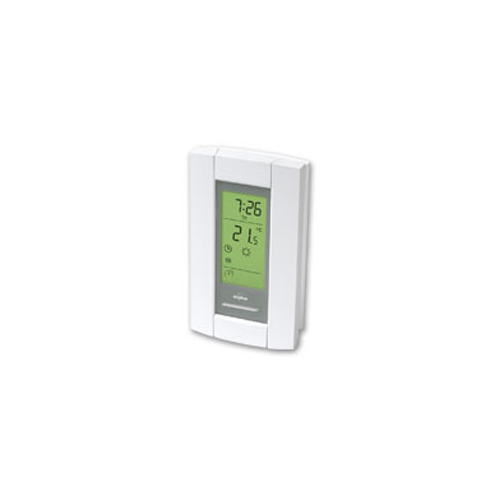 It offers full individual 7 day programming, Energy Star savings, and can be triggered into vacation/away mode REMOTELY by an automation system or phone in controller. Replaces standard 120V/240V 4 wire double pole thermostats.